Here we go once again, I have ended with a bunch of unrelated pictures. Just like before I plan on dumping a few of them in one post. 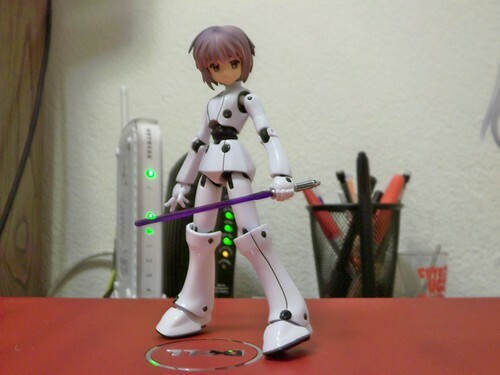 To start off we have what I call "White Knight Yuki". 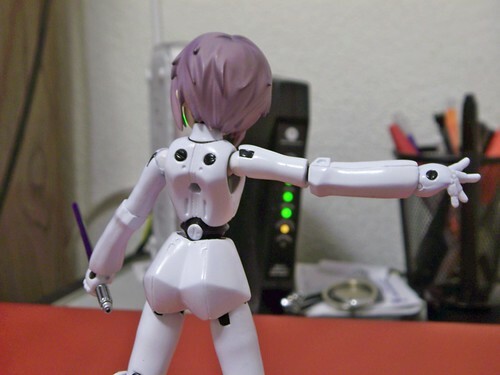 I seen several comrades use Drossel's body with other heads, out of all the ones I have seen I liked using Yuki the best add the light saber and Yuki looks like a knight in armor to me. Here we have Yuki just looking cool. Hmm...does Yuki ever not look cool? A full body shot, I got the purple light saber from poor Mace Windu. Took me a while to find him and his saber, been wanting one for Yuki for a long time now. 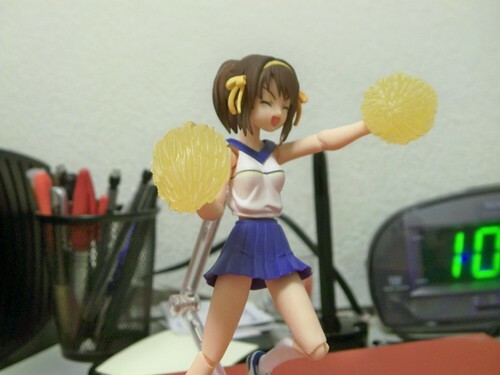 I bought both cheer leader Haruhi and Mikuru, and the summer uniform version Haruhi. 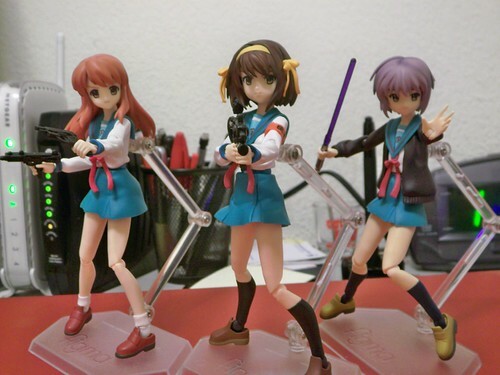 Ever since I saw Mikuru's face of determination and Haruhi's pouting face, I knew they would look perfect with some guns. 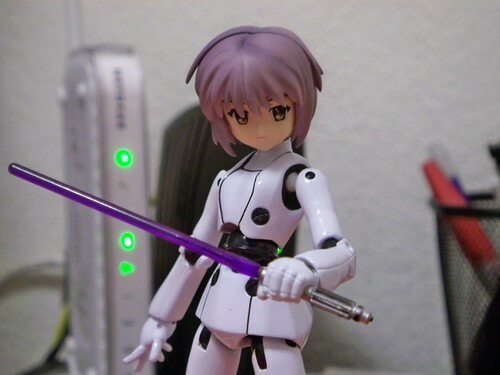 Yuki has her light saber as always. 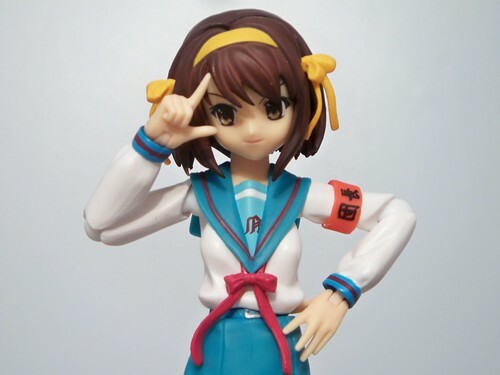 Yes really love how Haruhi looks with a pony tail, I also really like that full smile of hers. Kinda makes me think she is plotting something. 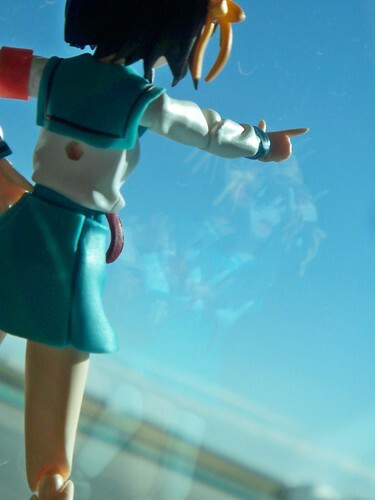 Thanks to Ranka, I been wanting a "kira" hand for a while. 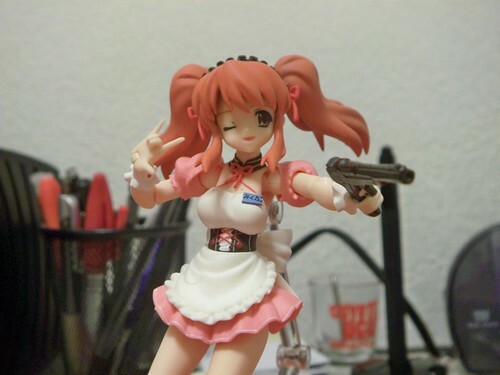 Luckily for me Battle Waitress Mikuru came with one. 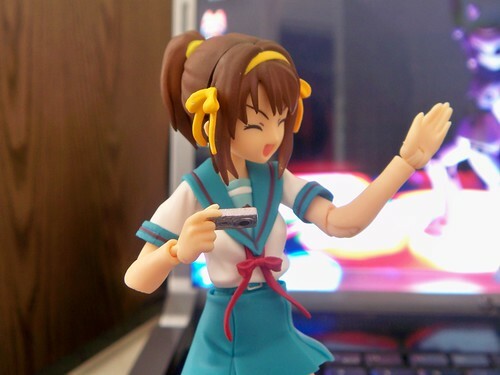 During the summer, I traveled to the Boston area for an internship and took Haruhi with me. Sadly I didn't get much motivation to take pictures of stuff around me. While I was over there I tried to change my old blog a little bit and used this image for the header. In the end I ended dropping it and switching to wordpress. You can find the few articles I wrote before on the archives at this blog too. 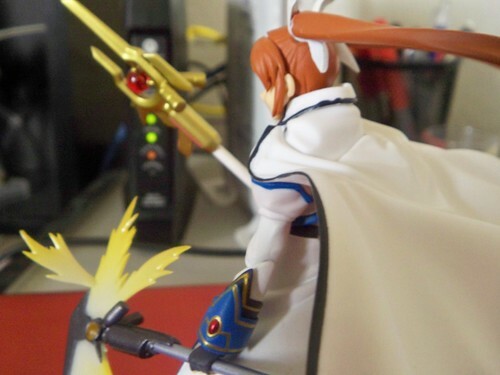 To end this time is Nanoha, I took this photo a long time ago after I read the Nanoha Betrayers doujinshi. Really good stuff, so many White Devil vibes from Nanoha in that doujinshi. Really wish there was a sequel, or if there is one for someone to tell me there is one. As always, leave a comment tell what you like or don't like. If you want to see more of something posted here let me know as well.